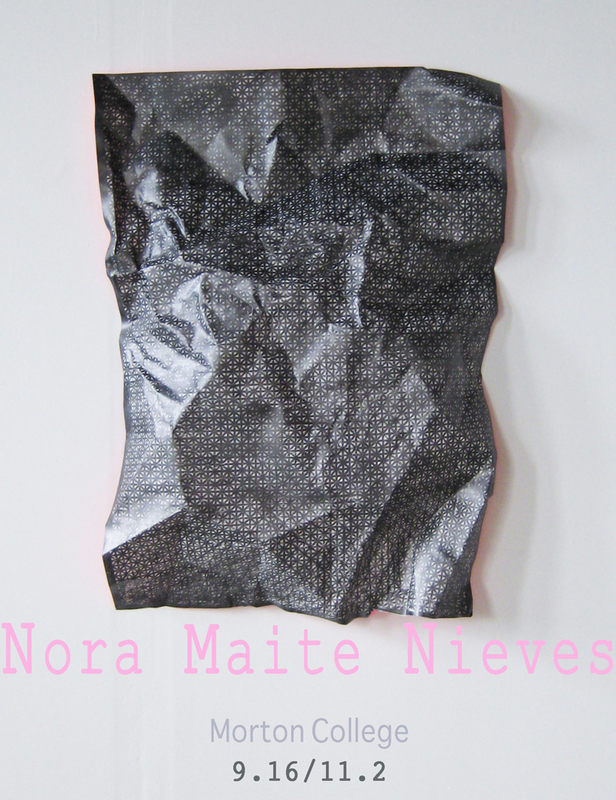 Nora Maité Nieves has an interdisciplinary practice, placing her work as painting in the expanded field. Born and raised in San Juan, Puerto Rico, she moved to Chicago in 2008 to do her MFA at The School of the Art Institute of Chicago. Graduating in 2010 from The Department of Fiber and Material Studies, Nieves continues to live and work in Chicago, working as a Fashion Jewelry Design Instructor at After School Matters, while producing her own jewelry line, My nOma (www.mynoma.com) and continuing her studio art practice. She recently completed an Artist Residency at High Concept Laboratories, for the Summer Season 2013. She was part of the Summer Artist Residency Program in Painting and Drawing in 2006, The Cooper Union School of Art and Science, New York, NY and her BFA is from Escuela de Artes Plásticas de Puerto Rico, San Juan, PR, 2004. Nora’s work studies the relationships of the places in which we exist, the objects with which we interact, and the memories that bind it all together. Sometimes her work comes in the form of a drawing for a floor plan, a strip of handmade tiles that remind her of a past home, or a composition made out of things she finds in the places she’s lived in. Her pieces are fragmented moments of nostalgic placement and existence. She often uses the word Displacement when referring to her work, because it recalls “action, movement, change… or something…left behind”. Nora’s work will be up from September 16th through November 2nd at Morton College. Building C, First floor, across from the Bookstore. Nora will be helping us celebrate Hispanic Heritage Month at Morton College. Opening Reception will be Tuesday, September 24th at 12:30 pm. This entry was posted in Art at Morton College, Chicagoland and tagged art, Art Installation, artist, arts, Chicago, Chicago suburbs, Cicero, Community College, Contemporary Art, creating, creativity, curated, Diana Gabriel, displacement, drawing, morton college, Nora maite nieves, nostalgia, Placement, Puerto Rican Artist, sculpture..